Classic Adventures, family owned and operated, was founded by Dale Hart in 1979. 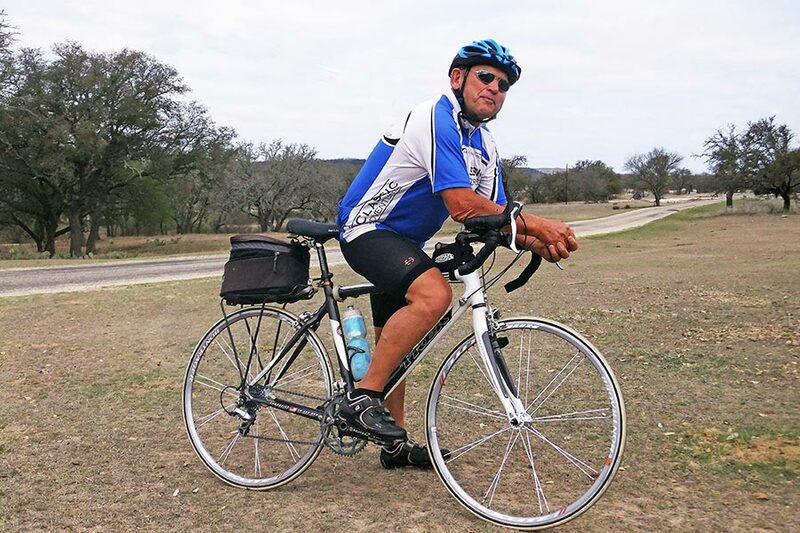 He founded Classic Adventures on several basic principles that Classic Adventures alumni have come to expect and appreciate: excellent cycling, clean & comfortable lodging, a historical and cultural emphasis, and friendly service-oriented guides who share a passion for the region being toured. Offering personal service with attention to these principles, all with a family touch, is very important to us. We’ve found no better way to maintain these principles than to accompany our tours with a Hart family member. Perhaps you’ve already traveled with Dale, Dianne, Nathan, Susan, Benton, Tom, Sarah, Jasmine, Madeleine, or Vander Hart. If not, we would love to have the pleasure of your company. With more than 30 years of experience, we have carefully honed our routes to include the best cultural and historical points of interest. We have assembled a team of guides, often Hart family members, that have a long-term commitment to Classic Adventures. You can be assured of guides that are knowledgeable, courteous, and committed to providing excellent service to ensure a memorable vacation. Compared to our competitors, our tour prices, coupled with our discounts, are an excellent value. As a family owned and operated company we naturally have lower overhead costs. We pass these savings on to our guests. We offer the same departures that are often $400-$800 less than our competitors. A high price does not necessarily equate to high value. Call us for a price comparison and references. Our tour guides make every vacation extra special. They cater to your needs, help you discover all the wonderful gems of the area you visit, and support you with all your biking needs. Click here to view our guides. We reward former guests with generous discounts. A 7% discount applies to any subsequent tour and an additional 2% if reserving before January 15, 2019. Guests who have taken more than three tours may add an additional 2% discount; more than six tours, 2% again. Bring a friend (new to Classic) and receive an additional $100 off (some restrictions apply). New guests are entitled to a 5% discount for any registration by January 15, 2019. Group discounts are also applicable. 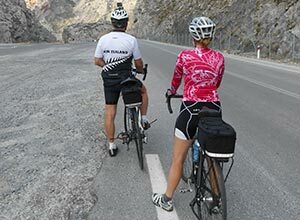 Dale & Dianne ride coast to coast following the Northern Tier Route on their brand new carbon fiber road bikes. Dale Hart rides coast to coast solo & self contained. Dale Hart officially retires, and Benton Hart assumes day to day operations. Dale ultimately fails at retirement and continues to guide departures in Greece. 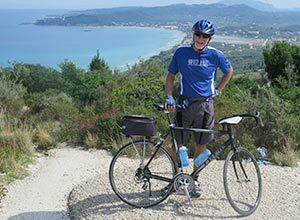 Classic Adventures rental fleet grows to 300+ bicycles worldwide, with depots in upstate New York, France (Beaune), and Greece (Ancient Corinth). 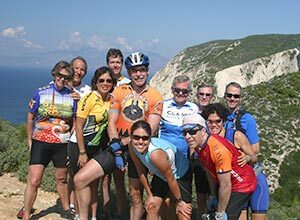 Bicycling Magazine names CA tour of the Island of Crete as one of the "50 best rides on the planet." Dianne Hart retires from teaching high school English and joins CA full time. CA partners with Trek to provide new, state of the art, rental bikes. Middle son, Benton Hart, joins CA full time as tour director. Oldest son, Nathan Hart, joins Classic Adventures full time, bringing his bicycle repair expertise to Classic Adventures. Classic Adventures begins to grow, adding more departures to more destinations. Dale leaves the academic world to pursue commercial bicycle touring full time. The Hart family drives a rusted out Ford Maverick from Rochester, NY to Savannah, GA. They sell the car ($15) and pedal home. 17 days. Dale Hart develops his first commercial departure of Classical Greece, ironically called "Bicycle Greece." Dale purchases a new Peugeot PA-60 touring bike and rides solo from Rome to London, fully self contained. Dr. Dale P. Hart begins leading academic/student tours to the archaeological sites in Greece by bus. On a cool spring day in late May 1973, at the age of 33, I boarded a plane with 30 university students headed for Athens. This trip would be the capstone of a semester course focusing on Ancient Greece and Rome, taught at SUNY Brockport in upstate New York. For 3 weeks we would experience first-hand the remnants of cultures we had studied. We traveled by bus and slept in tents most nights. After 4 years, this student trip evolved to the bicycle for transportation. One student tour included running the course of the ancient runner Phidippides, from Marathon back to Athens. (Nike!) Those student trips were intensive, exhilarating and became the catalyst for a new direction in my life. 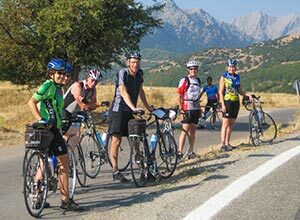 During those student trips, I began to notice cyclists traveling through Greece. I reaction was, "Why not me? I know bicycle repair, I speak Greek, I know the Greek culture." I decided to create a part-time touring company in 1979, ironically naming it "Bicycle Greece." Those early trips reflected my background and personality, that of a simple farm boy, with post Depression mentality! I thrived on physical activity as a young man; I was still a "gym rat" in my thirties. I drew on those qualities as I planned my first tour. Lodging and meals were not the primary focus. I pulled a bicycle trailer with food and provisions for most meals! Lodging included some camping. Customer service had a very different definition at that time! However, clients were extremely satisfied with the opportunity to experience Greece up close and personal, ancient and modern. I quickly realized my clients would be receptive to a more sophisticated lodging and dining. The emphasis on history and culture would remain. With those basic principles, I launched Classic Adventures in 1983 as a full-time venture. Today, 30 years after that first journey in Greece, our company still places a high premium on cultural exchange and history. Most hotels are in the category of luxury or A class lodging. We have expanded our list of destinations, both abroad and in the US. Even Greece has seen the recent addition of a second Crete offering, which is indeed "Extreme." We are again offering a unique hiking trip in the Pindus Mountains of Northern Greece. It amazes me! After 30 years, I still relish the opportunity to travel in this unique way. I have met wonderful people and visited unique destinations. My sons Nathan and Benton and wife Dianne have played an important part in this story. During the past few years Benton has steadily guided Classic Adventures to a new era. I will always remain involved to some degree, but the torch is being passed. I am grateful for the past but look orward to watching the future of Classic Adventures.